There are three critical elements to calculating an accurate birth chart. In this primer I will explain the importance of each and how they impact the accuracy of your horoscope. When calculating a natal horoscope (birth chart), most people are aware that the date of birth is necessary. However, to gain maximum benefit the time and place of birth are crucial. The date of birth allows an astrologer to take a snapshot in time of the planets on the day you were born. On any given day, each planet will have a certain "quality" or "tone" based upon the time of the year and other cycles. The planets will also have a certain unique relationship with each other on any given day. That is where the place of birth and birth time come into play. Two people can be born on the same day in the same location but at different times... and have a completely different life experience! The individuals will have similar qualities and energy, but they will be expressed in a different manner and expressed in different areas of life. The same is true for two people who are born at the same exact time on the same day but completely different locations. Even twins who are born more than 4 minutes apart (and most are) will have slight differences in their experiences over time. The birth time and location allow an astrologer to look not only at the planetary dynamics and energies involved, but also to calculate the houses (or zones of experience) in the birth chart. The houses are like a pie divided into 12 slices. Each piece of pie represents an area of life experience. For example, the 1st house is about you, you physically, and your identity as an individual. The 7th house is about interpersonal relationships, the 10th house is about your career or public image. Without an accurate birth time only a limited analysis is possible. You will be able to get a general sense of your personality and be able to predict certain cycles of activity and key developmental times; however, you will not be able say in what area of life these patterns will play out. 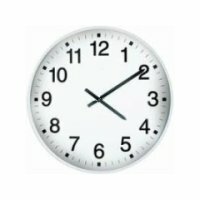 No Birth Time....What To Do? A skilled astrologer can help you approximate your most likely time of birth. It is a more-complex process that involves time and research for both client and astrologer, but once done you will have an accurate reference point that you can use any time you would like to look at your horoscope. It is well worth the effort in order to get the most out of your horoscope. These days hospitals are keeping much better records of the birth time than they did in the past. This is making it easier for everyone with each passing decade. The birth time and location is what makes us a truly unique individual. Just as no two people are exactly the same, the same can be said for the horoscope; your birth time and location are the reasons why. This article copyright © 2012 David Rosemill. All rights reserved. Reproduction without permission prohibited. David Rosemill is a professional astrologer who first became interested in astrology at the age of 12. He has a 25-year background in holistic health and self-development. He is former instructor in Chinese martial arts, and a yoga and meditation practitioner. David’s focus is to quickly get to heart of any issues facing the client and explore the possibilities for growth and self-actualization. He is currently working on his Masters Certification Course with world-renowned astrologer Noel Tyl.